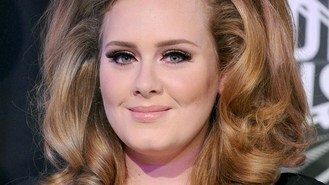 News - Adele asked to model for Burberry? Adele asked to model for Burberry? Christopher Bailey, head of the British high-end fashion brand, apparently wrote personally to the Someone Like You singer, inviting her to consult on a new clothing range for curvy women, the Daily Mail reported. Adele, 24, who is currently pregnant with her first child, is said to have visited Bailey's studio and has since been working with Burberry. Bailey is reportedly keen for the Grammy-winning singer to act as an ambassador for curvy women for the brand, as well as act as a consultant, along with her stylist Gaelle Paul, to create bespoke plus size designs. Fashion-conscious Adele has apparently already collaborated with Burberry to create the gowns she wore to the Brit awards and the Grammys earlier this year. The singer is also said to be in talks to back the Burberry Acoustic project, showcasing young British musicians.